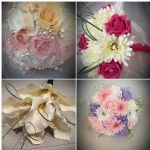 and a ribbon sash with laminated wording of your choice. 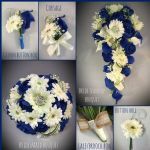 The wreath measures approximately 12" x 17" wide. Includes a card and holder. 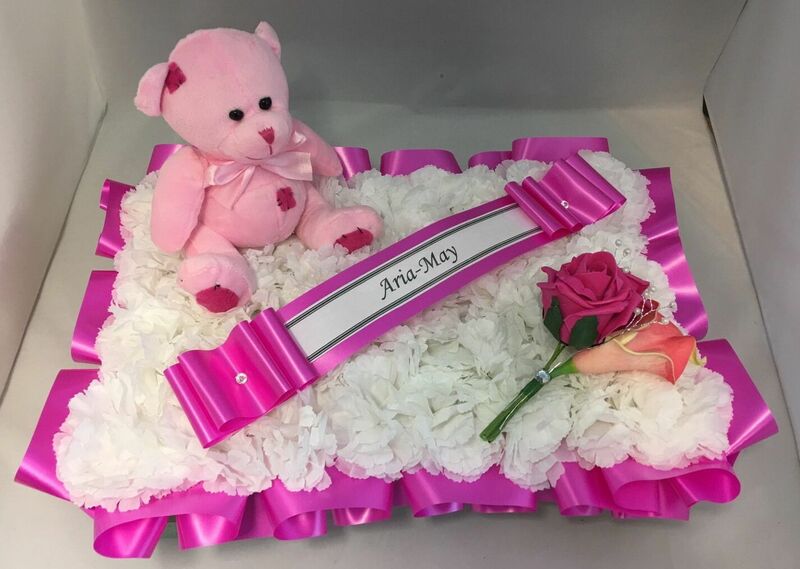 Silk memorials/tributes are a lovely way to remember loved ones by decorating their graves/cremation plots or place of remembrance which are guaranteed to last for up to 3 months depending on weather conditions and positioning. 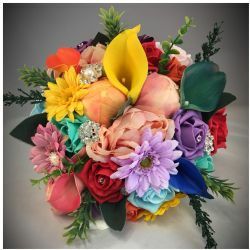 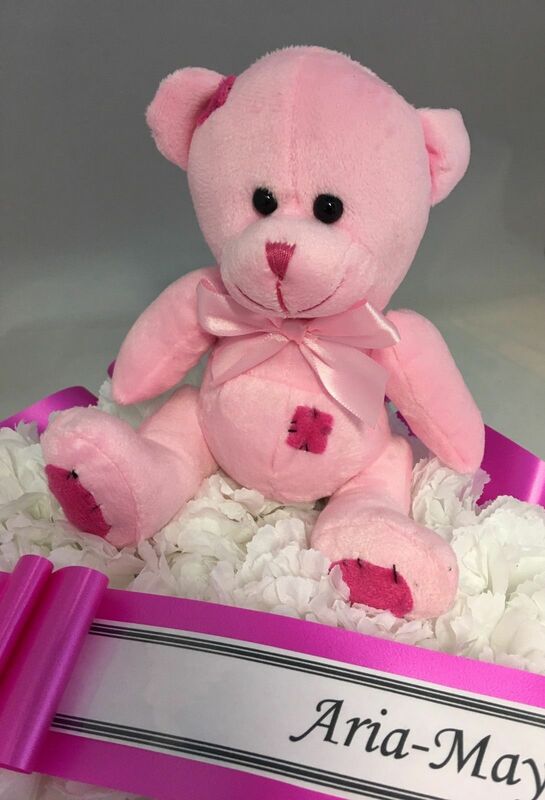 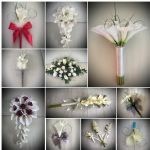 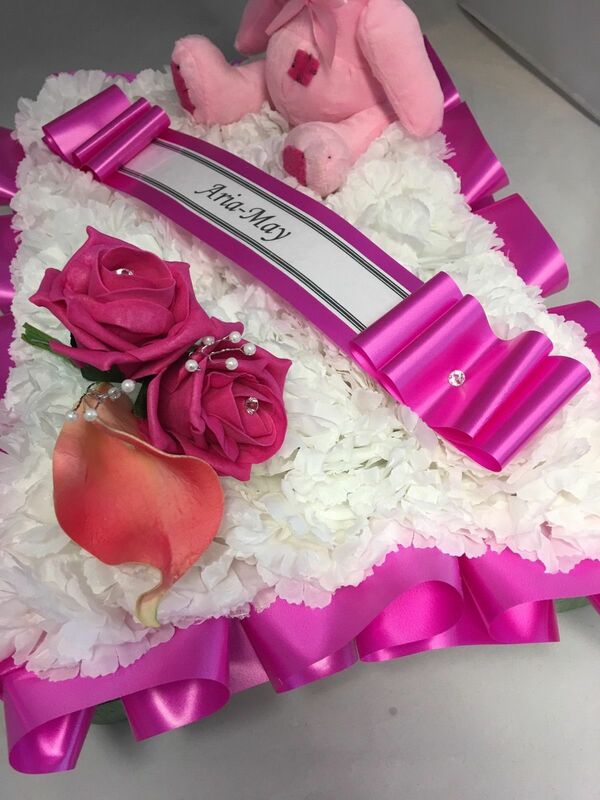 They can be used for funerals or to celebrate anniversaries and special occasions, such as birthdays, anniversaries, mother/father's day, Christmas etc or simply as a token gift of remembrance.